I have geechee family in South Carolina, primarily Jamestown area as this is where my dad’s family were born and raised. Do you know any of the Hallback’s, Nixon’s or Richardsons? As far as I know both sides of his family outside of my generation were all from the same area. Can you provide me with information on how to retrieve more familial records as well as slave records? You need to go to the SC Department of Archives and History in Columbia, SC for more records. My ancestor was Mingo Brown, Have you heard that name before? Peace. I am from the Adams family of Kingstree and the Rice family of Bamberg. Rice family of Bamberg??! I would say we almost HAVE to be related! This is a stretch for me as all of this makes sense. Oldest known person in my family volie daniels or addie battle both my great grandmothers surnames. Idk. We are not familiar with that area nor surname. My great grandmother Lucy was born circa 1875 to sharecropper parents and was Gullah Geechee. She married a man last name Fludd and we also have a great grandmother Cuthbert are these names known in the Nation? Yes, I think that would be a good thing to do. Fludd is common in Mount Pleasant, SC in both the Scanlonville area and Snowden area. After some inquiry, I have learned that great-grandmother Lucy’s family name was Rich. Wonder if yah-all know that name there. She married John Wesley Fludd and they both were share croppers in Summerton. 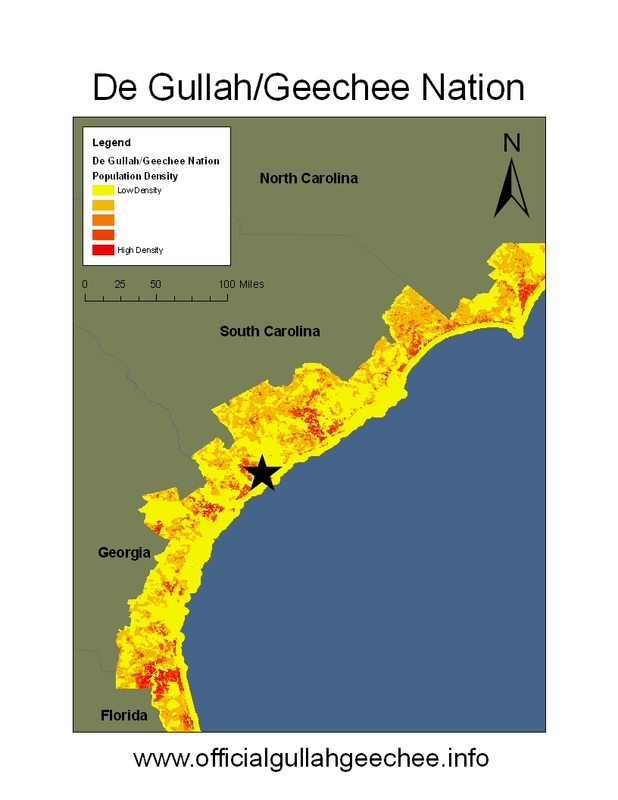 I have been trying to find any link or correlation to the Fludd name and the Gullah nation as well. I would love to share trade any info or history with you, Although I have very little. Currently Gullah/Geechee Nation flags are sold out. They will not be available to the public again until “Gullah/Geechee Nation Appreciation Week” in July. You will then be able to purchase them again online at http://www.gullahgeechee.biz. Is Bethea a common name in the nation? My great grandmother and grandmother are from Dillon, SC. That is not a common name here. My mother is turning 90 years old in July. Her Surname is Bethea and she always refers to having family in Dillon, S.C.
That is not a surname that we are familiar with here. However, we are familiar with Dillion and some of our people reside there. My grandmother on my fathers side was named LULa vanc and myathrs name was Ernest Vance,and brother Douglas. Is anyone knowledgeable about the Davis family from Sumter SC? Apparently, they are Gullah that moved to the mainland many years ago but I’m trying to find out their original location (my grandmother died before I was born but was said to have a very strong accent) Does anyone know where there are a large number of Davis’ on/near the islands today? I’m sure some family decided not to leave. I’m doing genealogy research and any help is greatly appreciated. Try looking in Charleston, SC. There is a Davis family on James Island, one of the sea islands. Jenkins orphanage has a heritage center on its grounds with records you can look through. I might be able to help you with the Davis family from Sumter, SC. Apparently, my great, great grand dad on my mom side is from Sumter, SC and his last name was Davis. This site is incredible. It is rare for us, as a family scattered by hate trying to finds way back together. I have ties to the Brown, Harley and Brown lines in Charleston. My mother always said that we were Geechee but I never knew what that was. I am in Florida now. I am available for more information. I had 2 uncles Louis Murphy,and Heller Murphy from the Gullah area.I intend to attend some events this year. My great grandmother was geechee. Her name was lula Mae Johnson. She traveled up north to work fora white woman as a house keeper. I thank you for everything you’re doing for the Nation and American culture. I also heard a lot of connection stories growing up about the Gullah and Geechee where some of family celebrated the relation and some were shamed by it, specifically the tongue; almost like a secret. We’d been called Geechee by a lot of northerners who heard we were from Charleston when we moved moons ago but I didn’t understand it but in spute of, I rep my homeland still. It’s so wonderful to know that there is a Nation that connects us and people focused on preserving, protecting and educating on it. Question is, outside of stories here and there, how do we confirm our family ties to the Nation? I come from Cummings/ Dixon and Treadwell/Wright. Dad is from Jacksonville, Fl and names are Jackson, Davis and Brown. We’re definitely planning to visit for the festivals, w/ hopes of more answers. I appreciate you. In love always, peace. There are new records that have been uncovered in the FL area of the Gullah/Geechee Nation that we may be able to link you to. An email will come from the Gullah/Geechee Sea Island Coalition in that regard. We do encourage you to bring your family to “Gullah/Geechee Reunion Day” as part of our international festival in August http://www.gullahgeechee.info. Sandy Island people of African descent are Gullah/Geechee for sure. My husband’s family name is Goodwine. His father grew up in Saint Matthews, SC. I have traced his familiar line back to a Simpson/Sampson Goodwine. Would like to know where this beautiful family (what area of SC) originated from. From my many years of research, I concluded the Goodwine family origin point in North America is Charleston County, SC and then the migrations went on with some of us in Beaufort County and then as time continued on the others when to Florida and New York, etc. My Mother was born in Kingstree South Carolina from the Hannah Cooper people. Would that be a common name? My Father’s last name is Singleton. We have heard of a few Coopers, but mostly inland. Singletons are throughout the Sea Islands. A very large group of them are on St. Helena Island, SC. First, we recommend that you simply contact the families with those surnames because they are still on Lady’s Island to find out from them the migrations of the families. Second, you should contact the SC Department of Archives and History for birth and death records and more details on the family members once you have names of the elders. Good evening Nation. I know this may be a reach but at my age of 32 I am finding that all of the elders in my family is leaving this earth. Recent deaths on my father’s side has brought me to want to know more of our past and our origins. We are all from western Kentucky, but I have always been told my grandmother that we have some Geechee in us *smile* Her father is who said was Geechee his name is Brown Foster. She told me that he got to Kentucky by hopping trains from the south. For some reason I want to say he came from the Florida area. Can you confirm if there are any in the nation with the last name Foster, or where the surname would have came from? Any information would be greatly appreciated! Thank you! Foster is not a common surname here. Also, keep in mind that many people simply called people from the south “Geechee” when they went northward, but they did not mean it in reference to our ethnic group. We encourage you to look into birth and death records of your ancestors and see if you can locate the birth places. We pray that you can find out more. My name is Earl Jackson. My mothers name was Earline Thompson, of the Thompson family estate. Here mother was Maria Howard Thompson. Her father was Holden Thompson of St, Helena. Her siblings were Herber “Boy” Thompson and Roy Thompson. I am looking to get in contact with someone from the Thompson family. On my mother side Thompson and Evans in the down south in my family. Hello My name is Bobbie Poston. Recently I was on fb trying to see if I had any blood connection with another family with the same last name. I came across a guy who tried to help me with the process. After further research we didn’t find any connection but I was informed my family came from Anderson and may be geechee. Would any of you happen to hear of this name before or know anyone ? Anderson is not part of the Gullah/Geechee Nation. Someone may have used Geechee in the incorrect manner that it was once used for all Black people from the south and it may not be the ethnicity of your ancestor. Poston is not a surname that we have heard here. My mother told me when I was very young that dad and grandfather were Geechers, st that time I didn’t understand what she ment. I grew up not understanding what a Geechee was, thing a Geechee was a black man from Portugal. Didn’t find out until five years that she was actually talking about a African tribe. My dad name was Joseph Jones and my grandfather name was Monroe Jones. Trying to trace their connection with the Gullah/Geechee Nation. How do go about tracing back my roots to the Gullah/Geechee nation? Is there any joneses that are there still living in any the location? I thank you in advance of any information you can give me. Jones is not a major name here. What you would need to do, it find out from the oldest members of your family the county and state that the family evolved from. If you get that info, we can then assist you with further steps. Hi, Is the PeeDee area included as part of the Geechee lands? Thank you for your time and expertise. Some of it such as Florence is! My family, the Davis’, Willis’, and Gause’s are from the Neck (between the Great and Little Pee Dee rivers) of Marion County! My grandfather used to tell me stories about growing swamp grass (rice). The Davis’ have lived in the Neck since at least 1803. Could we be Gullah?! I hope to learn more about SC’s Gullah culture and find ways to support it. As an aside, in Chicago, I once had a woman walk up to me and greet me in Gullah. She then explained that I looked like her Gullah people in SC and thought for sure that I was one! That area has some Gullah/Geechee culture there. Rice growing was done a great deal there during chattel enslavement. A good deal more details would have to be provided to determine if the family is Gullah/Geechee or not though. 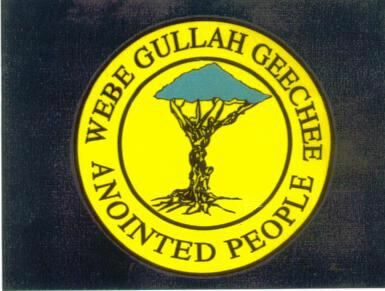 I have been curious about the Geechee nation for many years. I must admit, Gullah is a new term for me. This is wonderful information. Your theory could be correct. However, it is very likely she was calling her Geechee because of character traits without having knowledge of the ethnicity. Many people did this with people from the south. In any case, there are Geechees in Mississippi that ended up there due to forced migration from our coast to the deep south just before the US Civil War. Queen Quet Amen. God is so gud. This made tears to my eyes bcuz I had a stroke last year n lived and recovered that I know that find my Tribe and part of our Tribe. Your friend Reuben was right, if it wasn’t him, I would have never known about you and know I’m part of out Tribe. .
Queen Quet Amen. God is so gud. This made tears to my eyes bcuz I had a stroke last year n lived and recovered that I know that find my Tribe and part of our Tribe. Your friend Reuben was right, if it wasn’t him, I would have never known about you and know I’m part of our Tribe. Queen I just saw my grandmother mother name is Covin Brown. Is surname Brown familar? I was 5 or so when I first heard Geechee mentioned by my mother. She replied that someone looked Geechee based off of facial features. I kept that memory with me for over 30 years. While doing some soul searching a few years ago, I ran across the Gullah Geechee vids on youtube and was astounded at how similar my New Orleans upbringing was to yours. I am interested in finding out if my family are possibly Geechee. Let us know what you find out about your family. However, the story that you put forth doesn’t sound like they would be based on what your mother said. We wouldn’t speak of our people as “looking Geechee” necessarily, but other folks that are not Gullah/Geechee have done that. My great grandfather was Jim Jones and his son Caesar Jones. Are you familiar with any of these names? My family is from Savannah, is there any information on the McRae family or Powell family? You should visit some of the historical societies on the Georgia coast since you definitely know that your family is from Savannah. There numerous Green and Chisolm families throughout the Gullah/Geechee Nation. The other surnames we are not familiar with. You need to find out the state and county that they are from. Hello, My father’s is Herman E. Chisholm and I am Melissa. I was told that we have family members that spell their last name without the extra “h,” like you have here. My grandfather was from Orangeburg, SC and is related to Shirley Chisholm. Does any of this sound familiar to you? email me so we can talk more. The different spelling of that surname we are familiar with. However, Orangeburg is not within the Gullah/Geechee Nation. There are Gullah/Geechees that migrated there from the coast to attend college for the most part and some decided to live there. What about last name Ward my mom told me my father was a geechie all I know some his people moved to New Jersey where I was born! The people that we know of with that last name came to the coast from North Carolina and are not Gullah/Geechee. Obtain the county and state that he was from by obtaining his birth certificate and also a death certificate if he has passed away. Those names are extremely common here. What area of the Gullah/Geechee Nation was he from-county and state? We never heard of the park. I am a Lawson, and we have Brown, Wade and Tyson and prichett my mom always said that we were Geechee are any of these names familiar to you? Brown is very common here. Pritchett we’ve heard of, but cannot state exactly where. Hello and peace my lady is the name Coe familiar i am a Coe and my mothers maiden name was Hollins and Remson (Rimson). Do you have a course online to learn the history, language, and culture of our people? Its been years since I spoke Gullah and was taught by my aunt at JK Gourdine Elementary so I’m very rusty. My Geechee accent is still there and very strong, but I would love to relearn. Also my last name is Simmons. I did research and my great (four or five greats ago) grandfather was Keating Simons. My family is from the Berkeley County area. My mom said is White, I think a Reverend White was their slave owners. I don’t know much about the Snipes. They are from Russellville/41 area. If you have anymore knowledge of that area please let me know. Several Snipes moved to Charleston County, SC. In most cases, to find family members and to relearn the language you have to make a trip and be amongst the family. We do not tend to move far from our original locations. We do not teach our language at all due to all of the exploitation of our culture especially as it relates to people studying our language and writing incorrect translations. So, we encourage reconnecting with family in person to relearn our traditions. Would you please let me know when flag are available. We will not release more flags until 2018. Continue to pay attention to http://www.GullahGeechee.biz. Hello! Is there a term for the people that live inland just outside of the corridor in places like Kingstree SC and Eutawville, SC? I know the stories, food, and accents are huge in these small communities, but since they are about 50 miles inland, are they somehow different? Thank you. They are South Carolinian. They usually do not have another distinction. The English “southern” accent is not the same as a different language. Gullah is it’s own language. There are some Gullah/Geechees that migrated to the two locations that you mentioned, but there are many others that do not trace their ancestry to these coastal areas. All of the places that you mentioned are in the Gullah/Geechee Nation and so are both those last names. Hello, I am heading to Charleston SC on December 8th to December 12th and I want to visit or tour a location that really gives me information regarding the Gullah/Geechee culture. Where should I visit ? Even locations outside of Charleston is fine. We have several blogs on this site that provide you with listings of Gullah/Geechee owned and operated places including the “Gullah/Geechee Visitors Center.” You can take the “Sites and Insights Tour” in Charleston. Enjoy. I am conducting some genealogical research on my family. My grandfathers name is James Erva Woods and I have only found records on him in adulthood in St. Simon Island. I was wondering if the Woods surname is common in the Gullah community. Although Woods is not a common name here, St. Simon’s Island is definitely within the boundaries of the Gullah/Geechee Nation. Thank you very much for your reply. I am still conducting research and I was hoping you may be able to help me a bit more. We believe that my grandfather may have changed his name for some reason. However, he did have a child on St. Simons Island with a woman named Maebell Givens. Is Givens a common surname? Also, is there some type of way to access birth records from the 1910’s on St. Simons Island? I know I am asking many questions but I am quite desperate for answers. Thank you for your time. Givens is also not a common name here. However, you can check with the St. Simon’s African American Heritage Coalition at the schoolhouse on St. Simon’s about how to locate records for anyone born there. I know of last name Wood or Woods in Woodbine Ga. Check with Sandra Lawrence @ 912-407-7494 / I know her brother last name Wood or Woods. You can ger her on Facebook as well. Thank you so much Jasper! This information that you have provided has helped me so much! Is McRae or Powell part of the Gullah/GeGeechee Nation? We’ve heard these names in Charleston, SC, but cannot say that the families originate there. Mc Neal Cabbage Ford Ga. 7 mile from Woodbine Ga. Pass away.Jacksonville Fl. as well. My folks are from Liberty County, GA. Do the surnames Bryant, Stevens, or Baker sound familiar? I have ancestors from Harris Neck & Sunbury. There are several persons in Liberty County by those names. Email Rose Stevens Mullice at mullicers@gmail.com. She is well versed on the residents of Sunbury. I just discovered my Geechee roots. 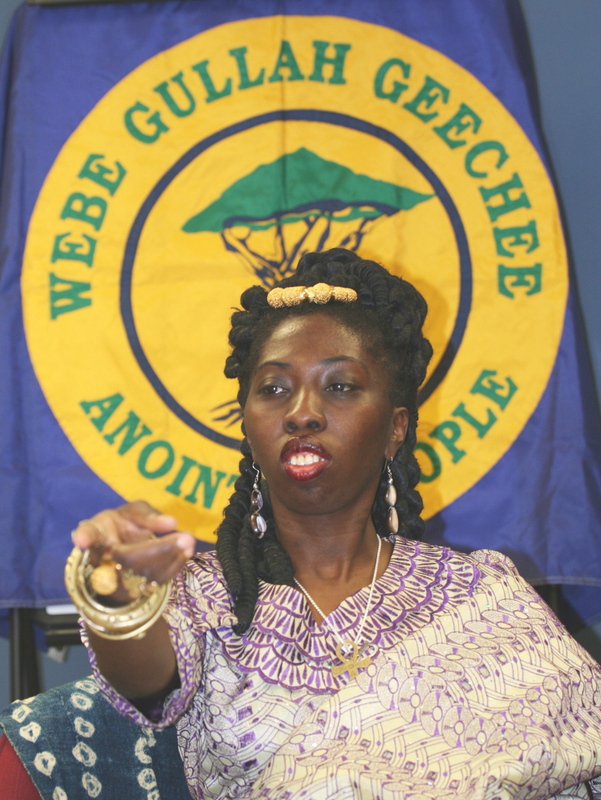 I have always heard that I am Geechee, but I did not know what it met. I am still trying to learn. How can I keep the traditions alive in me? This is very important to me. If you just learned you have a link here, how do you know the traditions? You can only keep something alive by living it. Have you heard of Grice, reed or lockridge. Not as surnames nor locations. Salaam. After years of ingnoring my true self. My spirit has lead me to this point. Thank You for your existence and continued fortitude in the struggle to maintain our nation. I Will see you soon. You know who I be. I be Theda Clay Powell. I’m from Chillicothe Ohio. I’ve traced my Ancestry to the Lowlands. Has anyone heard of a Williams or Wakefield Family? Williams is a common surname here, but not Wakefield. Hello! I am currently trying to do research on my family’s history. Both of my parents are from South Carolina, my mother is from Barnwell, SC. Are the names Brown, Stowers, Leslie, Spear, Roundtree, French, Radical, Allen, Cane or Cave possible Gullah/Geechee surnames? Thank you and God bless; I love Gullah Geechee people and the culture! Brown is a VERY common Gullah/Geechee surname. We have also met a small family of Roundtrees near the Charleston, SC area. YES SIR. I KNOW BROWN ,FRENCH. WOODBINE GA.
Hello, Queen and Peace to you, is the surname Burnsl found in the Gullah/Geechee area of SC? My mother is turninging 90 yrs old this July. She was born in Charleston, SC and would speak of family in Dillon and Latta, SC. I have a old photo of her grandfather who was full Geechee. Thank you for your time. Burns has been mentioned, but not frequently here. The times that we have heard it. Nonetheless, the areas that you mention are areas where are people reside.